Dragon Fantasy Axe with Stand | BUDK.com - Knives & Swords At The Lowest Prices! Dive into the realms of a fantasy never before experienced! 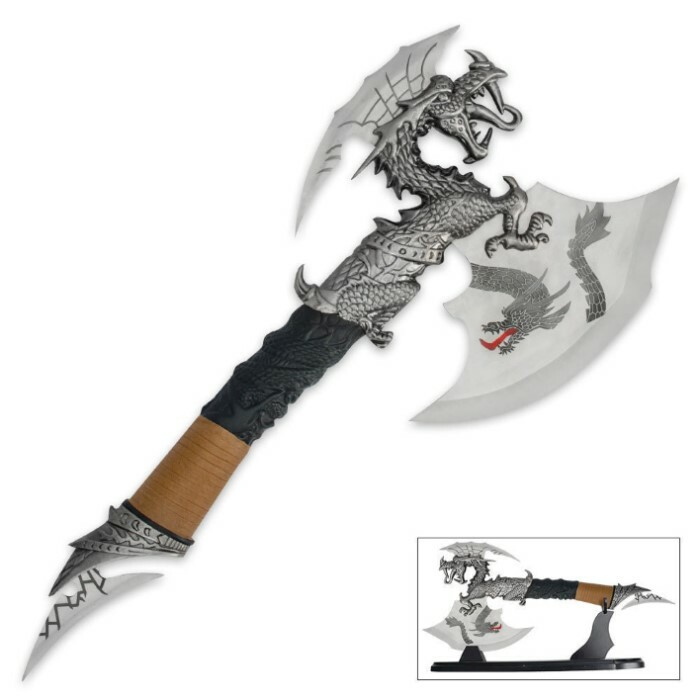 Featuring a solid stainless steel axe head with dragon designs right on the blade, this axe is one of a kind!